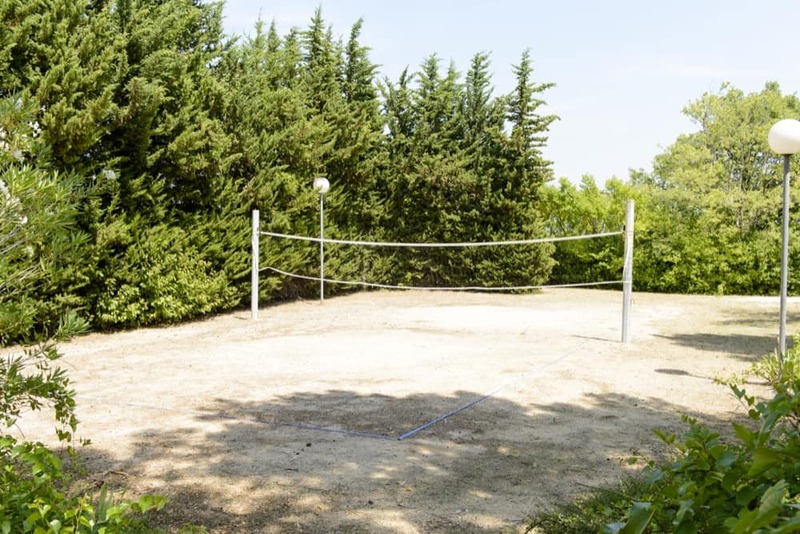 An area of sports activities is arranged to play petanque, volleyball, table tennis, playground for children from 3 to 12 years. 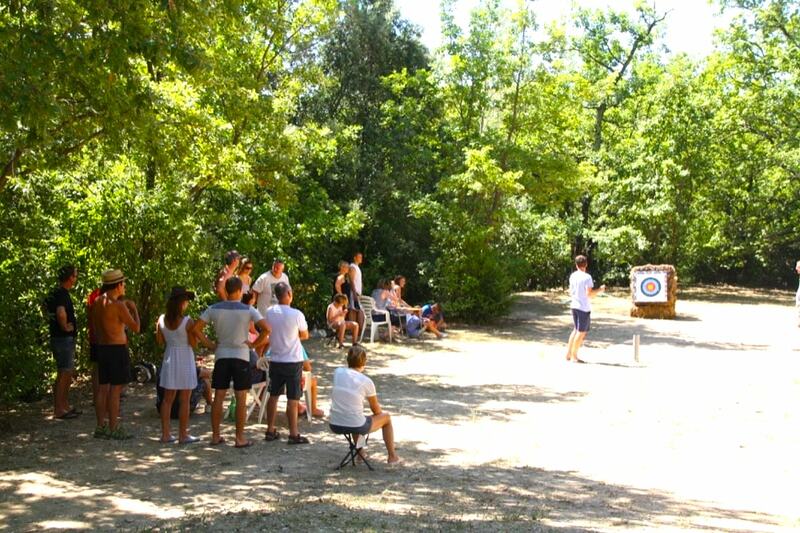 In a friendly atmosphere tournaments are regularly organized, as well as darts and drawing Challenges for children. 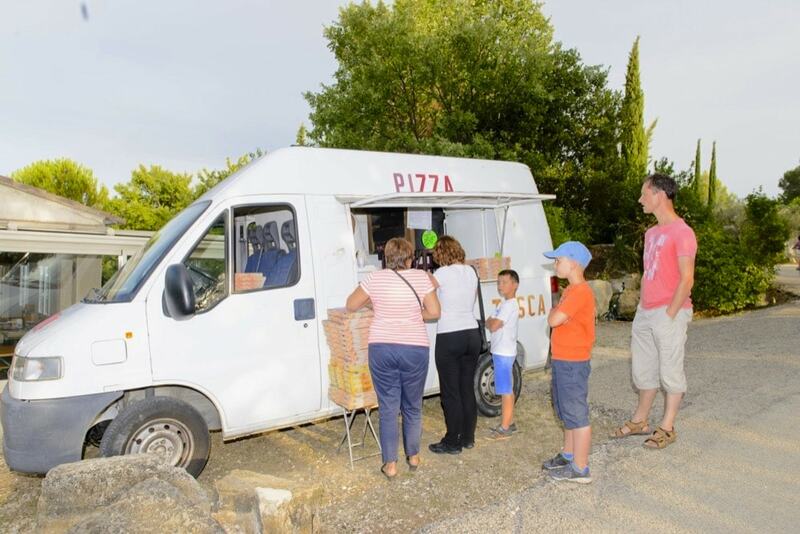 Three nights a week, close to the reception, we put at your disposal a barbecue and planchas, as well as a bread oven / pizza; You can come and cook your meal and dine on site. Free wifi is available in this same area. Since our creation, it is natural that our guests spend a pleasant time during their holidays, we offer every Sunday evening a “typical” aperitif. Once a week we propose to participate in an oenological initiation. 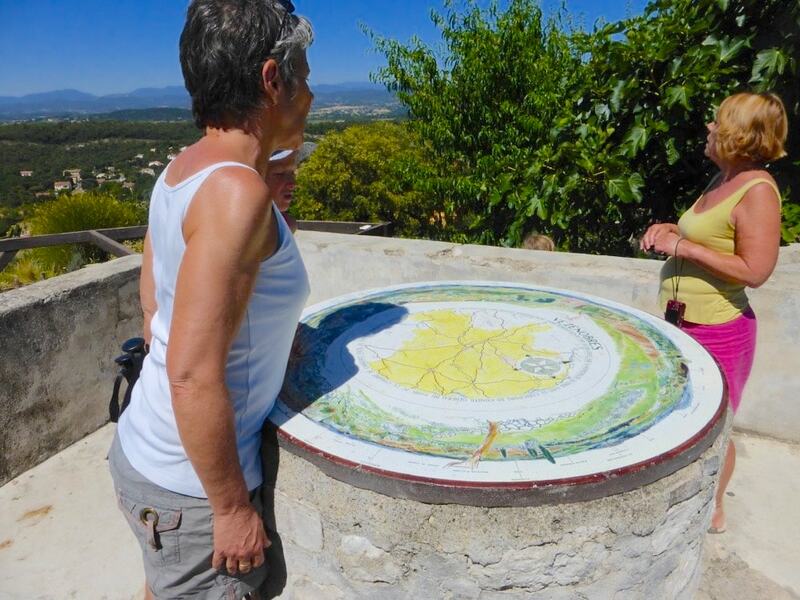 You will discover the best wines of the Gard and the small wines of the area. 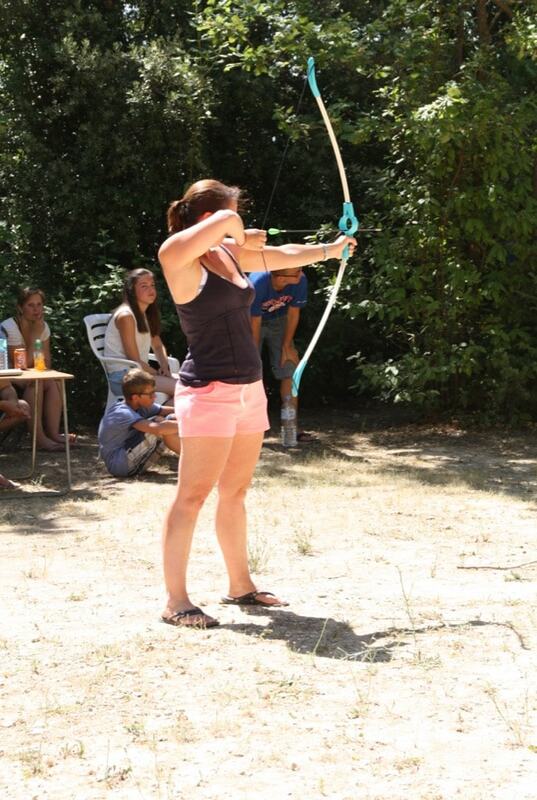 A professional accompanies you to adapt your choice according to your taste. 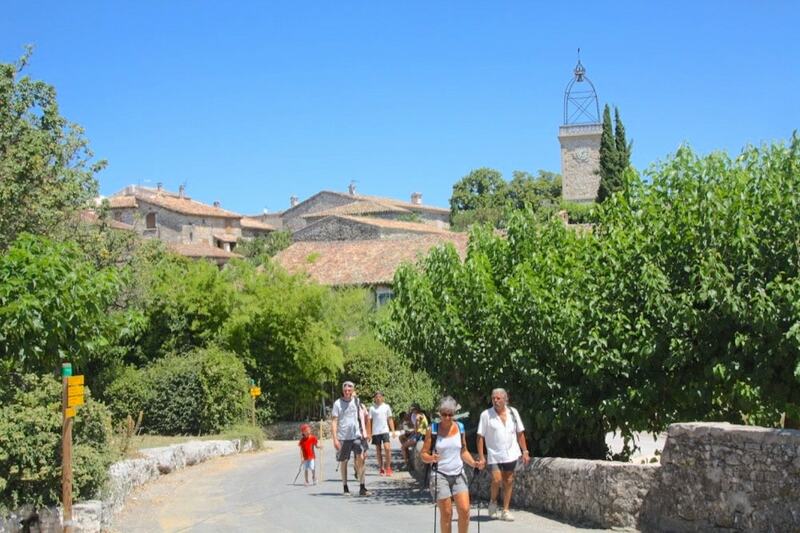 Many walks have just been marked on SAINT JEAN DE CEYRARGUES and neighboring municipalities, departures can be done camping. Maps of stroll in the area are at your disposal at the reception. 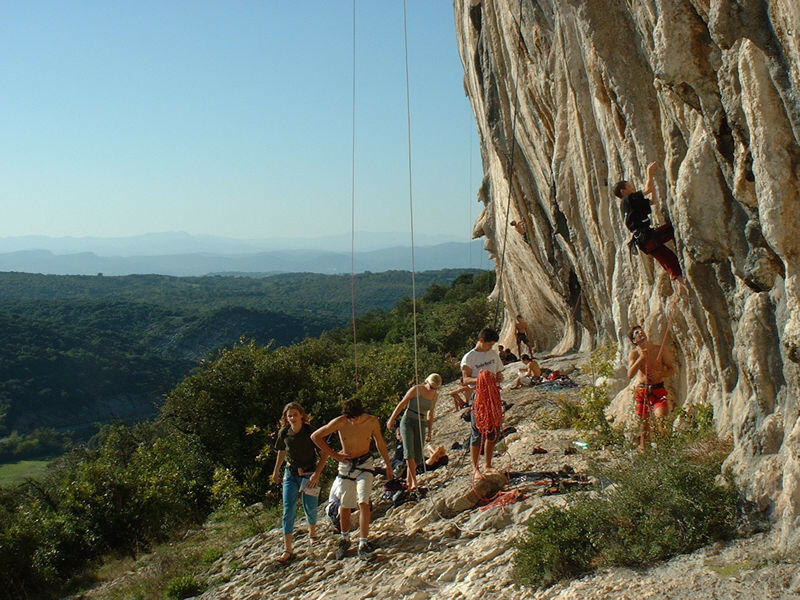 Seynes is a major climbing site north of Nîmes and east of Alès. It includes more than 370 tracks mainly slab. In difficult areas, you can tackle the cant on balusters. We can climb to Seynes in all levels up to 8c (to try if you can: Dinosaur (8a)). This limestone cliff faces south and can reach in places almost 55 meters in length. It was re-equipped in part in 2007. So it’s a very interesting wall that deserves to be climbed. 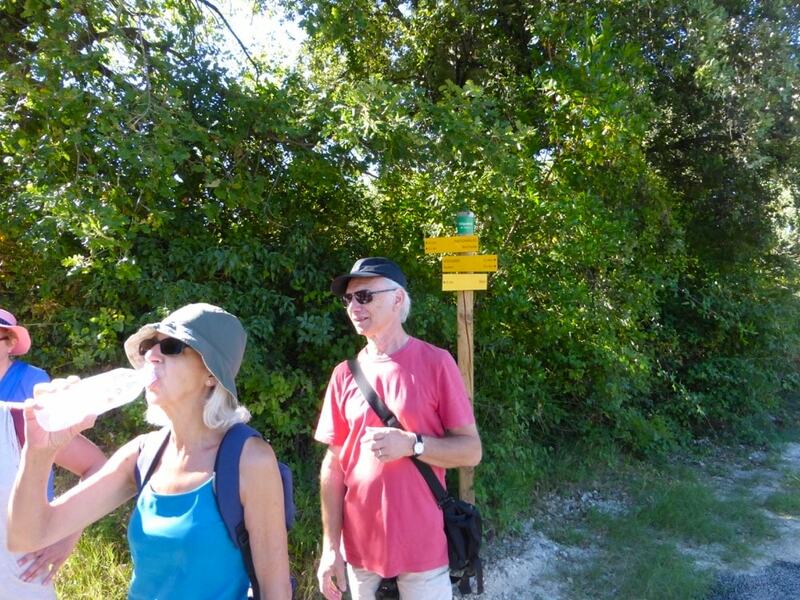 Some other small cliffs are accessible near the campsite. 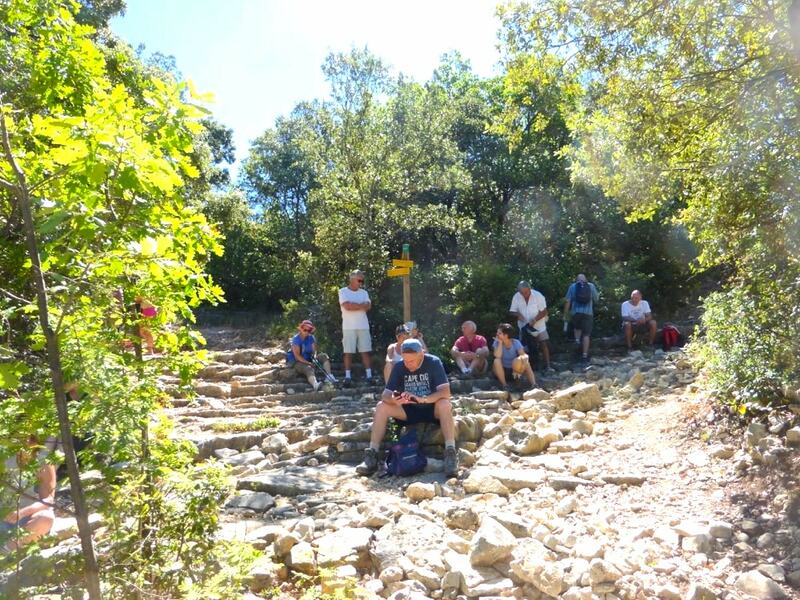 The topo of Seynes is included in the topo cliffs of Gard available at the reception of the campsite. 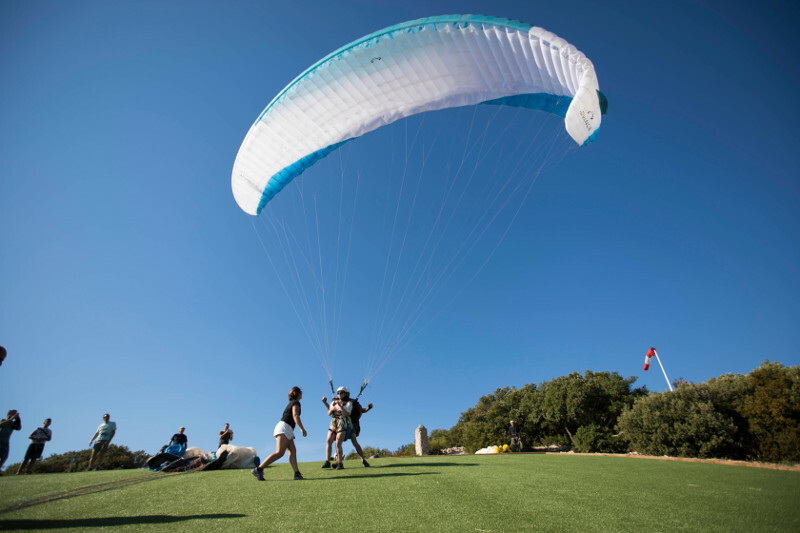 Paragliding: Thanks to its relief, Seynes also offers other sports activities. Indeed, it is possible to paraglide from different mountains in the area. 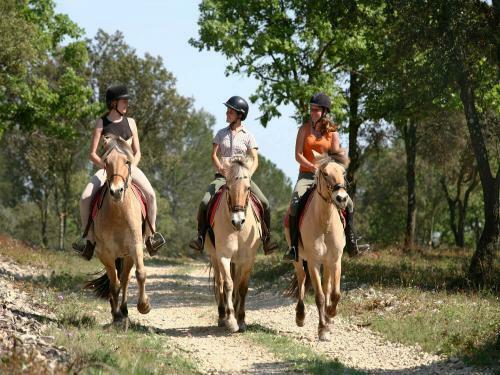 Come make your jump in tandem, organize your internship or simply make a jump between friends and in a good atmosphere !